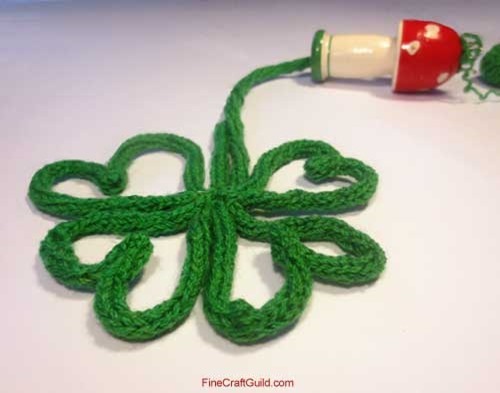 Here’s a fun St Patrick s Day Crafts project, that can be used in a million decorations for the day: finger knit some lucky shamrock! This finger knitting project is not made with only your fingers, but with a spool as well. 2. Now it’s time to sew the shamrock. Leave a portion of your cord to become the stem. 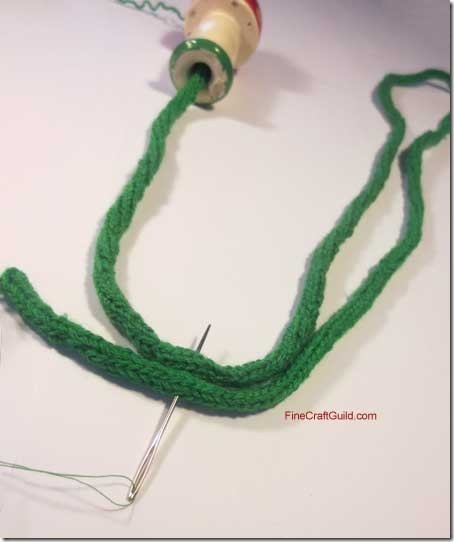 With a thread and needle, sew the cord into a very big loop. See picture. 3. Divide this loop into 4 even parts, which are your shamrock leaves, and sew them tightly onto one another. Look at the first picture and examine how the shamrock is constructed. 4. To create that ‘shamrock’-leaf shape, fold each loop inwards and give it a few stitches. Do this with all four clover leaves. Now each leaf resembles a heart, and the whole finger knitting project has become one lucky shamrock! My finger knitting spool aka mushroom i-cord maker dates back from when I was a very little girl. However, they are still for sale. 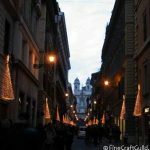 Disclaimer: I will earn a little kick-back from any Amazon sale on this site, so please do use this link when purchasing. Thank you in advance! 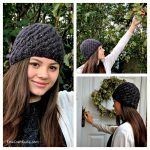 Lots of lovely Knitting Patterns Check them out! Yep, one added to our cool crafts for kids!